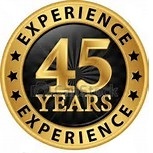 Home – Blackbird Motors Inc. "Serving the Marine Industry Since 1972"
WITH OUR BUYING POWER AND STATE OF THE ART MACHINES WE CAN SAVE YOU MONEY $$$$ WITHOUT SACRIFICING QUALITY !! OVER 20,000 powerheads done and 200 marine dealers to our credit we can offer you same as new powerhead for a fraction of the price. 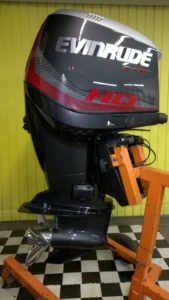 “At Outboard Rebuild when we use the word REMANUFACTURED you can be 100% sure that all cylinders have been machined by only the best machines that are available. Rottler F3 boring center that is designed to do blind hole engines, Rottler H8500 Diamond computer assisted hone for unsurpassed cylinder wall finish, critical in 2 stroke motors that rely on oil/gas mix that is needed to lubricate. We machine all critical surfaces back to uniform for proper gasket sealing. 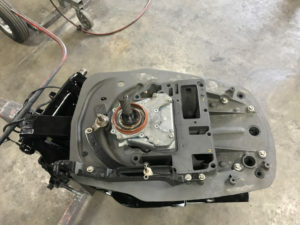 WHEN WE SAY RE-MANUFACTURED WE DO NOT MEAN “CLEANED UP USED OLD PARTS” WE MEAN ITS BEEN DONE RIGHT!! 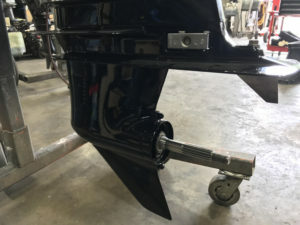 We install NEW pistons, NEW rod bearings, NEW rings, NEW wrist pins & bearings, NEW main seals, NEW lower unit seals and water pump, NEW paint( base clear coat) no buzz bomb!! Warranty!!! The list goes on and on…” A powerhead that last YEARS as they should. The Industry (outboard remanufacturing) standard for rebuilt motors is ONLY 100 hours per outboard repair, and a loss of up to 20% power loss . Here is the problem: piston and ring seating is dependent directly on cylinder wall finish. To accomplish the proper finish, the method used is referred to as “plateau finish”. This process is how today’s automobile motors go well over 100,000 instead of maybe 50,000 miles like they used to. To obtain this finish in a blind hole motor (outboards) you can’t use automotive machining methods. Special machines using diamond precision computer controlled hones are needed. 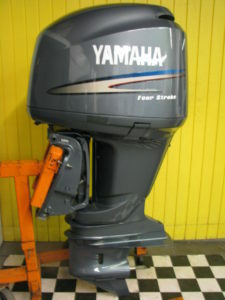 These machines with their support equipment are a must on modern outboards. Gone are the days that you can do this correctly at a dealer or in a garage. With this in mind we attempt to educate. For the uneducated customer who looks only for low price also gets a new friend. Who? The dealer or person who is going to rebuild your engine again and to the industry standard or BETTER. Contact our specialists to find out how the remanufacturing process is done to make your motor like new! 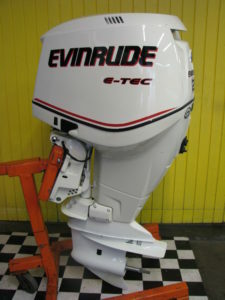 We use Genuine OEM replacement parts from Mercury, Yamaha, Johnson, Evinrude, Suzuki, and Honda. Motor housings are cleaned and repainted in our In-House paint shop. Our replacement decals are also done in-house. Factory decals may be requested at an additional charge. All motors and dressed powerheads are tested in our in-house test cells with computerized monitoring. Each unit is run for approximately one hour in water conditions. For motors, you actual motor is run. For powerheads, your actual powerhead is placed on our universal base for testing. 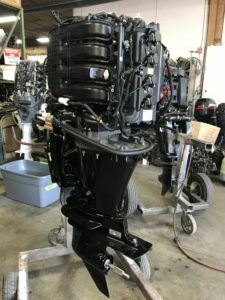 This beauty is a 2006 Mercury 115 XL 4 Stroke that was re manufactured from the ground up. Fresh paint and new parts. 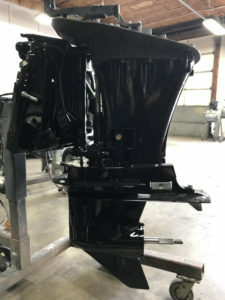 After the finish assembly, this Outboard will be Tested and QC before it’s sold. Testing / QC process includes electrical test, leak test, throttle / shift test, etc… All motors are computer diagnosis and setup for top performance and break in. We want to keep you on the water!